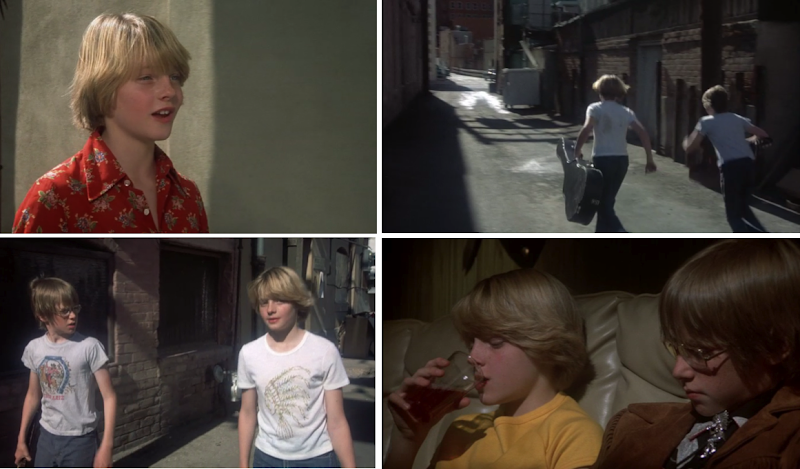 Film stills of Jodie Foster and Alfred Lutter in Alice Doesn't Live Here Anymore (1974) via screenshot. Yes, great movie. I watched it again not long ago - had kind of forgotten how good it was. Another good Jody Foster role was the tomboy/tough street kid she played in "Candleshoe" -- ever seen it? I haven't seen Candleshoe, but have just added it to my list. Thanks! I liked this movie too! About the JODIE FOSTER´S character - I remember someone asked in AMAZON.IMDB.COM if the person AUDREY/DORIS was a BOY OR A GAL; laughs! I watched her in CANDLESHOE... She was 'more feminine'! Nowdays she is very beautiful (I make some things in ARTS - candles/boxes/others; and with PICTURES... Jodie Foster is one of them!). * That film ALICE DOESN´T ... was released (THERE IN USA?) in THE SAME DAY I WAS BORN (12/09/1974)!